Feb. 2-3 Battle of Old Mill Station Canton , TX. Feb. 15-17 Battle of Blackjack Grove Groveton, TX. March 9-10 Battle of Cuba Station/Heritage Weekend Gainesville, AL. 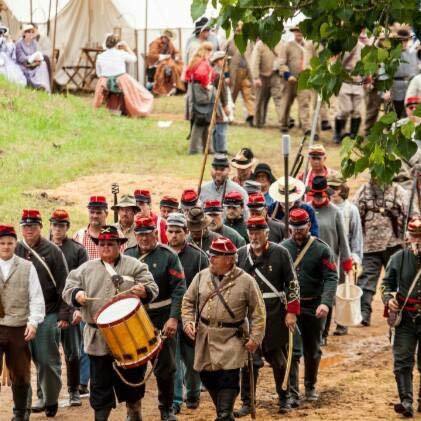 March 22-23 Brice's Crossroads Living History/COI Baldwin, MS.
March 30-31 Battle of Janney Furnace Ohatchee, AL. March 30-31 Battle of Port Hudson Port Hudson, MS.
Apr. 5-6 Discovery Park Living History Union City, Tenn.
April 20-21 Battle of Jackson Crossroads Jackson, LA. Apr. 27 Fort Pillow Living History Ft. Pillow State Park, Tenn.
Apr. 26-28 Thunder on the Bay at Fort Gaines Mobile, AL. May 4-5 Fiddlers Green/Skirmish in the Valley Jacksonville, AL. May 4-5 Jefferson Jefferson, TX. May 17-19 Battle of Resaca Resaca, GA.
May 17-20 Battle of Powder Mill/Tomball Heritge Festival Tomball, TX. June 8 US Monument Dedcation Brice's Crossroads Baldwin, MS.
June 8-9 Tannehill Ironworks Tannehill State Park, McCalla Ala.
Aug. 31-Sept. 1 Battle of Decatur Mallard State Park, Decatur, AL. 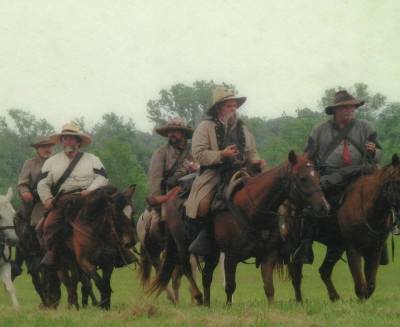 Sept. 6-8 Battle of Tunnel Hill Tunnel Hill, GA.
Sept.28-29 Skirmish at Luxapallila Creek/Mule Day Winfield, AL. 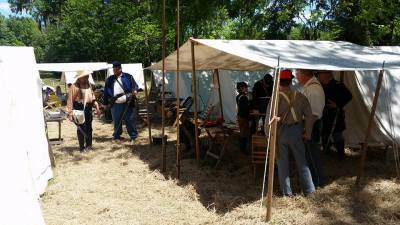 Sept.28-29 Mexia - Texas Confederate Reunion Grounds Mexia, TX. 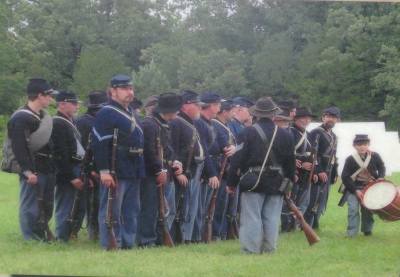 Sept.28-30 Covington Heritage Festival/Square Shootout Covington, Tenn.
Oct. 5-6 Battle of Ft. Crawford Hallsville, TX. Oct. 12-13 Battle of Columbus Bellmont Columbus, KY.
Oct. 19-20 Beauvior Fall Muster, Jefferson Davis Home Biloxi, MS.
Nov. 2-3 Battle of Ft. Richardson Jacksboro, TX. Nov. 8-9 Battles for the Armory Tallassee, AL. Nov. 15-16 Liendo Plantation Hempstead, TX. Dec. 7-8 Brairfield Iron Works Brairfield State Park, AL. Dec. 14-15 Battle of McClouds Mill Leaksville, MS.
Highted events are either hosted or sponsored by 1st Division members. Other events were submitted by friends and organizations of the 1st Division for consideration. Other events may be added later. Please help and support as many events you can.